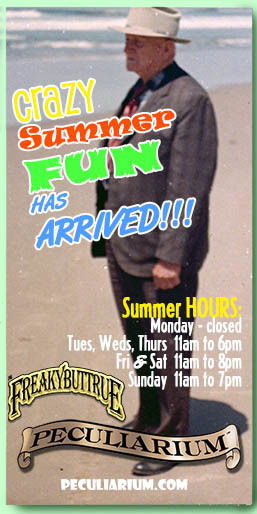 Check out the Freakybuttrue Peculiarium in Portland, Oregon. This is the page for the Wellins brothers, Dean and Mike. Dean is a director at Walt Disney Feature animation. Dean has worked on Iron Giant, Bolt, Tangled, Frozen and more. Mike is an artist, director and filmmaker in Portland, Oregon. He worked at Will Vinton Studios and Laika/House for years. He is also the co-creator of the Peculiarium. Click over there to your right to see more about that. Contact Dean or Mike at Pecularium@freakybuttrue.com, or mike@freakybuttrue.com and it will get to them eventually.